There are several products and techniques available, which I recommend. The various over the counter products give the least predictable results and may cause permanent tooth damage – therefore, DON’T use them. The 2 products we offer are as follows. Opalescence gets really great results in just over an hour in our office. A special gel is placed on your teeth. 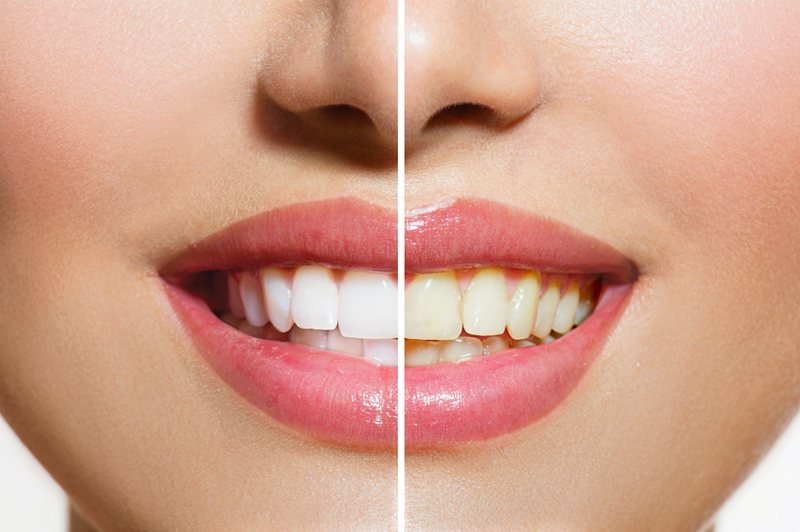 When the procedure is done, your teeth are 6 to 10- shades lighter! Your home kit comes with a set of custom trays so that you can maintain the whiteness of your teeth indefinitely. We recommend, once your teeth have been Opalecenced, that you use the custom trays once a month to maintain their whiteness. If not, the Opalecence results can last for 2 years, depending on your diet, tobacco, and coffee habits. Or, if you prefer to whiten your teeth at home, we would take an impression of your teeth, fabricate a custom tray, and give you several applications of a whitening gel, which you would wear in your custom tray, each day for 7 to 14 days. There are various strengths of this gel, one requires 45 minutes a day of wear, and the other you leave in at night while you sleep. Once the results are rendered, it requires touch ups, monthly to once a quarter, depending on your diet, tobacco, and coffee habits.